Factional President of MOSOP, Fegalo Nsuke, said this last weekend, in Ebubu, Eleme Local Government Area of Rivers State. Nsuke said contrary to media reports, the situation in Ogoni is not out of control, but accused the government of failing to provide the needed logistics for the police in the area, thereby, creating the current security problem, which, according to him, offers potential benefits to those who are taking advantage of the situation. “We blame the Federal Government for the current embarrassing security situation in Ogoniland, because they knew that by neglecting the police in Ogoni, they were creating a security problem. I will also want to state that the situation in Ogoni is not out of hand. “At some point, the Divisional Police Station in Bori, headquarters of Khana Local Government Area, did not have a patrol van. What did government expect; and will they claim ignorance of the implications of such deliberate actions? Nsuke maintained that the government’s alleged neglect of the police in Ogoni for a long period was well calculated to create the present situation where their agents would call for military intervention to repress civil protests against injustice. The factional MOSOP president said: “I think they deliberately allowed things to deteriorate to justify the militarisation of Ogoniland, which has always and clearly been their intention. “Their hope is that militarisation will pave way for repression of civil activists calling for justice in Ogoni and, consequently, enhance oil resumption in Ogoni. “It is sad and shameful that Ogoni faces this kind of situation due to the failures of our government. 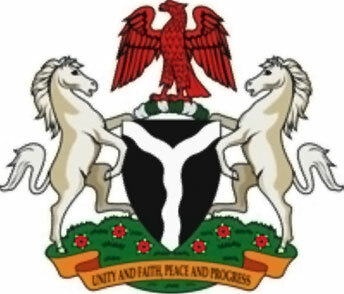 It is disheartening that our justifiable demand for equity is being repressed by the Nigerian state,” Nsuke said. He said what the Ogoni people are asking for is fairness. “You cannot take away everything, the land and resources, and leave nothing for the Ogoni, and when we question the unjust treatment you do all to repress with your security forces. Speaking on the attack on the home of Solomon Ndigbara, a former militant leader, Nsuke said the conduct of the Nigerian military in Ogoni violates citizens’ rights, describing it as provocative and a threat to the peace of local dwellers. The factional MOSOP president demanded explanation from the military for the magnitude of destruction visible in the home of Ndigbara. He said the Ogoni people demand explanation for every action taken by the army or any other security agency against any Ogoni citizen.